“The glass blower is an artist that takes broken glass and melts them in a very hot furnace. Then the glass blower blows through a long tube and creates objects such as cups and plates and pieces of art. 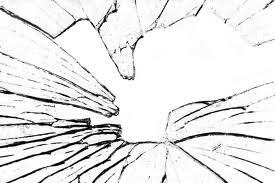 The sharp edges of our anger are like pieces of broken glass. We all have things in our lives that anger us-it is only human to bump into our sharp edges. One edge might be crabby, another silent and withdrawn and still another yelling and screaming.